I planted this to grow over the terrace railling. It did this within 1 year and had fruit the first summer. 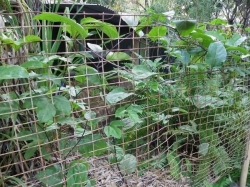 Unfortunately rats seem to like the fruit, as the fruits aroma wafts about the garden when they start to ripen. It became a battle with the rats as to who could get to the passoinfruit first! I have since got rid of the rats so this year they should be all mine!! 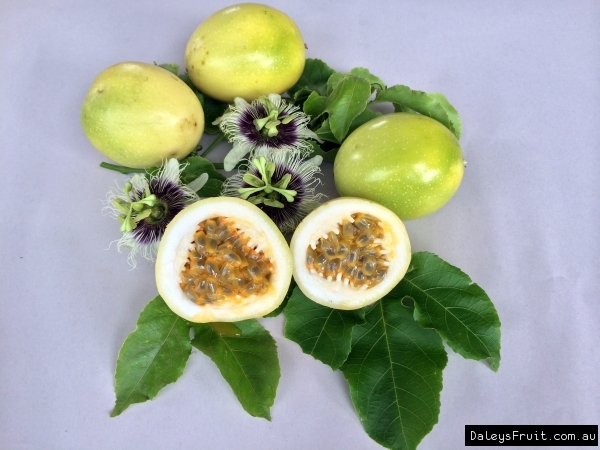 Just one of my many passionfruits as you can never have enough. This one is growing up a wire mesh as a screen for our mini orb rock bathroom. The wallabies have taken a bit of a liking to some of them. 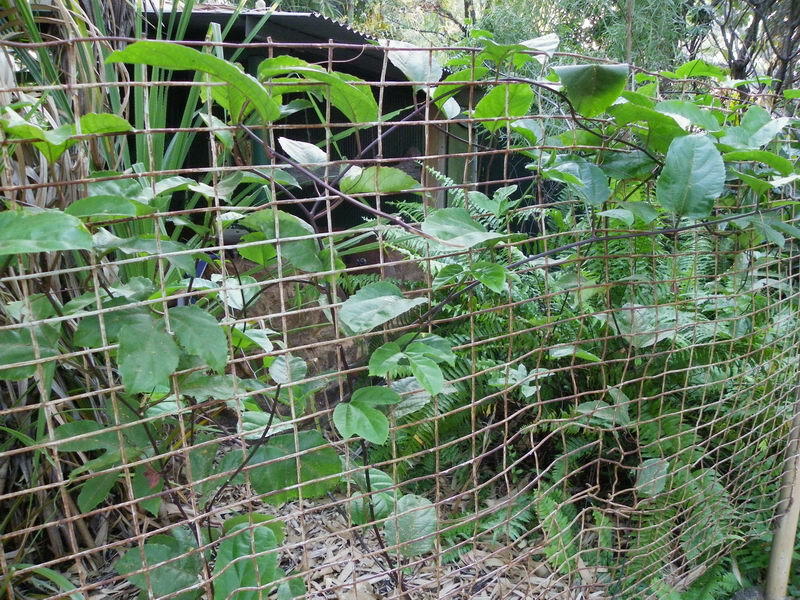 They prune the passionfruit and the pawpaws but so far have left everything else alone. Fair is fair I suppose as you can t always have it your own way!!! just planted - had a grafted black that died suddenly - hopefully this doesn't go the same way. Has gone absolutely ballistic. Constantly having to go out every few days to make sure the new growth stays off the ground. Can't wait until this time next year when it should fruit. Only been in ground for 5 months and is already flowering - amazing. So far I have about 7 fruit with a lot more flowers on the way. The first fruit is huge in size, just have to wait for it to ripen now. The vine flowered profusley and I had over 100 fruit, however none ripened before winter and now we have just finished a particularly cold winter it has lost half the fruit and leaves, hopefully will spring back in warmer weather. Might bite the bullet and prun back heavily at the sake of the fruit to give it the best chance this spring. Did prune back heavily and have reaped the rewards. 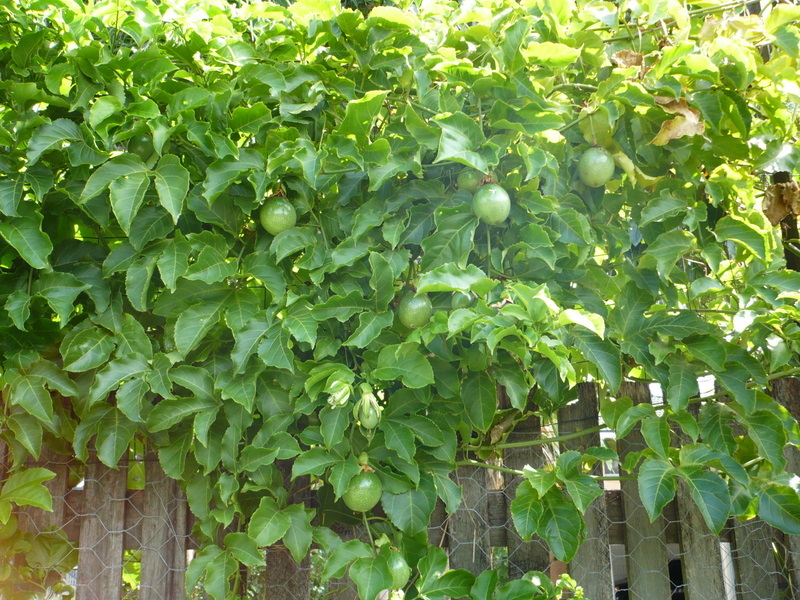 Have so far pulled about 50 or so passionfruits off and frozen a large amount of pulp - May 2011. This gives excellent fruit. 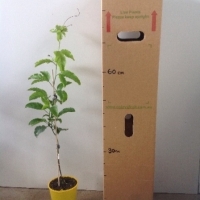 Just make sure the plant gets good watering after fruit set. We ate these as kids they grew everywear. I am stuggling to get this one to take off. It should be fruiting this year but I think it will be another year yet. The black are more hardy but these taste sweeter. If it ever fruits I will try to grow some seedlings and see if they are stronger. My sister grows these in terrible sandy soil near the coast very successfully so I will try again! 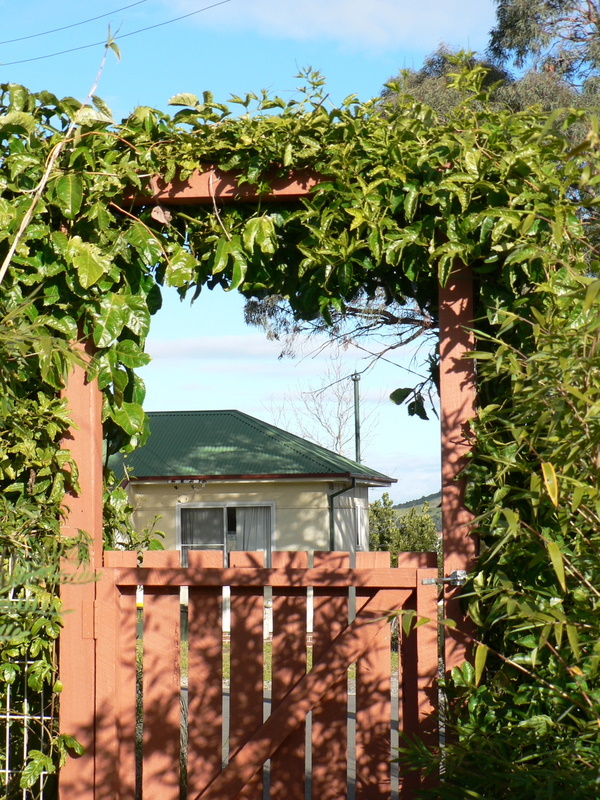 possums love to prune them when young, beware! How can I boost the growth rate? Hmmm, I couldnt find this today after hubby mowed, I wonder if it will pop back up. Potted up some seeds today (sept 09) will see how they grow. Satin Bower Bird eats new tips! planted a few months back. Growing well and now has covered 5m of fence and a fairly large orange tree. 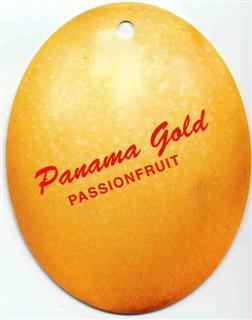 Another fruity favourite for taste. 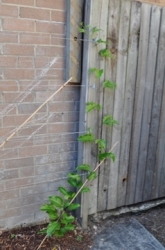 My vines are looking a bit poorly. I have neglected them and the tree I am climbing them against may be too dense to let light though and causing root competition. Using it to cover an ugly old garage. 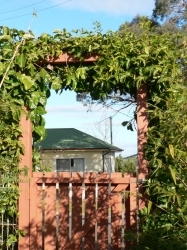 Erected a trellis , planted in large pot and it took off first summer. However with the cold weather and lack of sunshine, all growth has stopped but still looking healthy. Waiting for sun and warmth to see if it will keep growing. Main goal to cover garage with pretty greenery. If I can get it to flower and fruit that would be a BONUS! 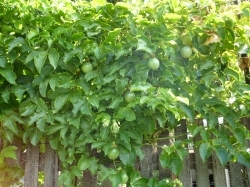 Will these passionfruit become rootbound in their current large pot? Anyone else growing successfully in a pot?